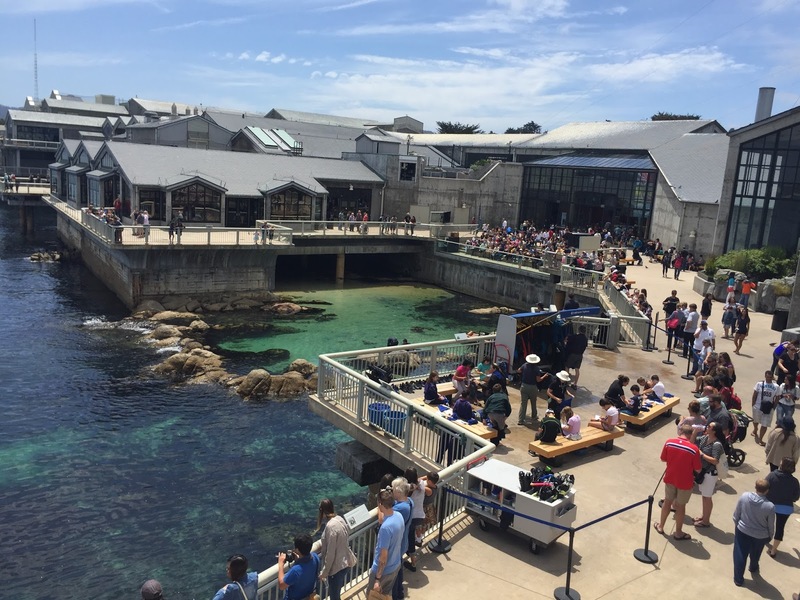 A few weeks ago, we finally made our way to Monterey to check out the famous Monterey Bay Aquarium. 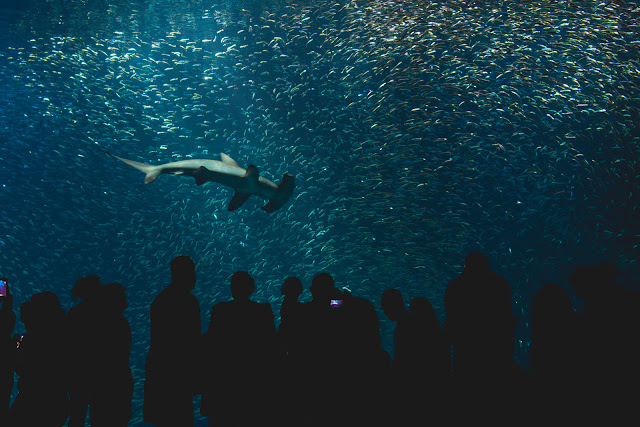 I could go on and on about how awesome an aquarium it was (by far the best one I've been to). We've been wanting to take Landon for some time and when his best buddy's parents suggested a trip (and had some deeply discounted tickets), we jumped on the opportunity to go with them. The only thing more enjoyable than watching your kid in awe, is watching two kids in awe together. 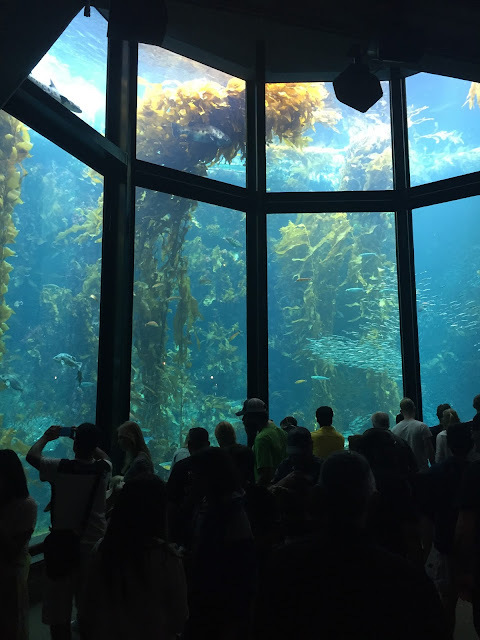 One of the largest tanks is the Kelp Forest tank which mimics exactly how the ocean looks just outside the doors of the aquarium in the waters below. Kelp here grows over 70 feet long and going for a dive at nearby Point Lobos is on my to-do list. Until then, it was really cool to get a view of what it looks like in our own backyard. And this aquarium has not just one, but two huge tanks. 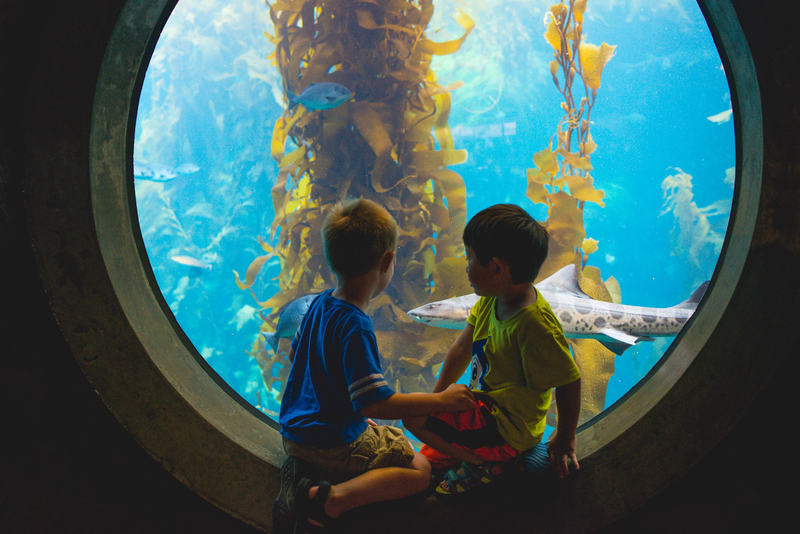 The kids could have stayed at the second tank (called "The Open Sea") all day long. Every time a shark swam by they got SOOOO excited. All the schools of swimming fish would part and they would oohh and ahhh. I got excited every time an animal would swim by too, but it wasn't the sharks. My favorite under water animal is the sea turtle. 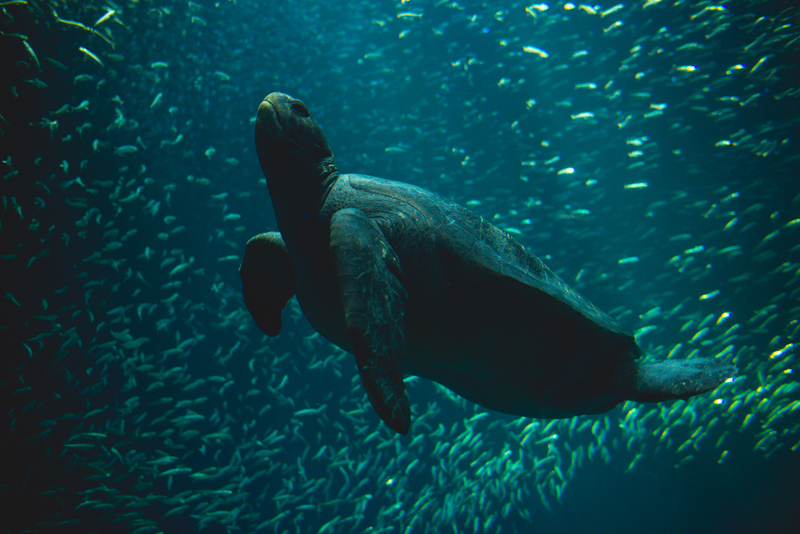 I had an amazing experience diving in Cozumel and getting to see one up close. It's always stuck with me and I've loved them ever since. Four year old boys on the other hand, couldn't have cared less. 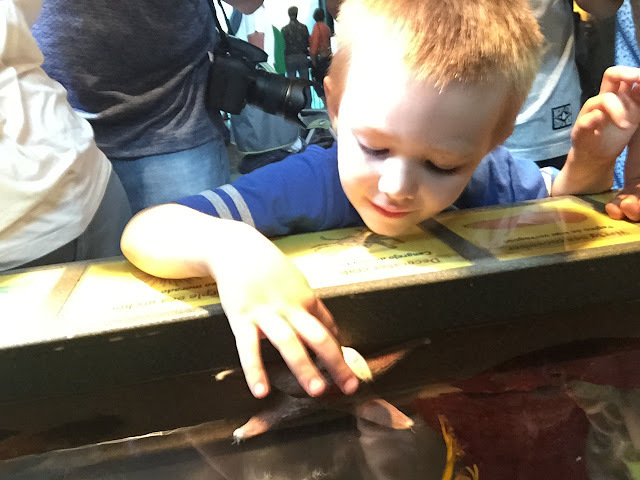 The hammerhead was Landon's favorite he said. 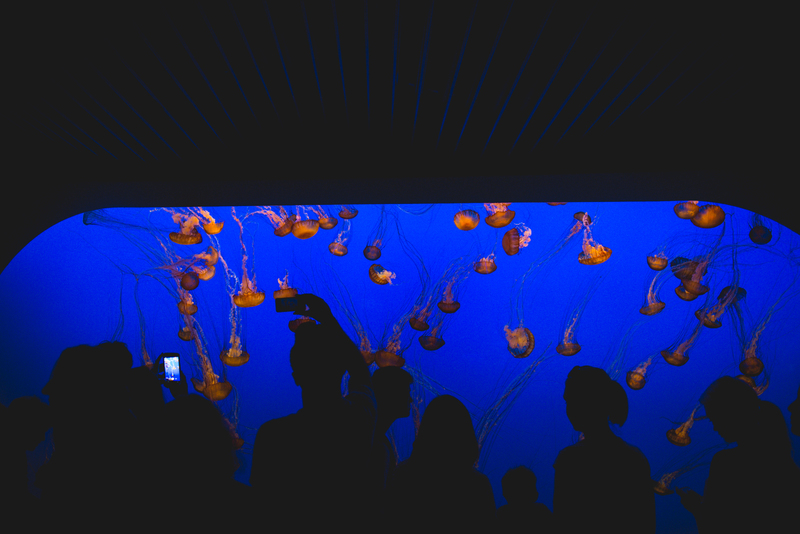 The big tanks were pretty spectacular, but the Jellies might have won out as everyone's favorite. The jelly area was really cool. A large tank near the beginning worked to set the mood. 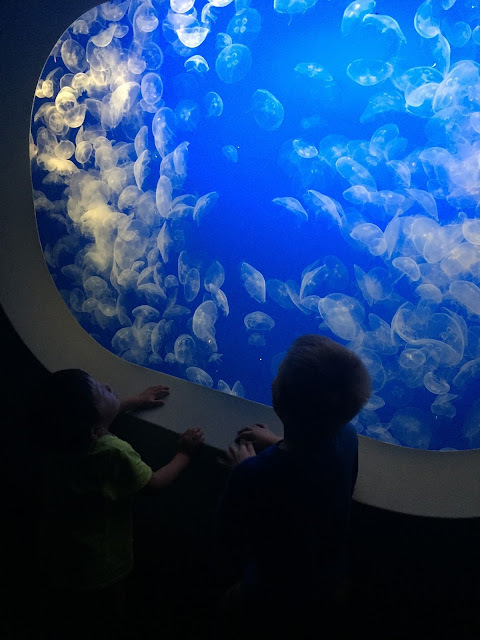 It was perfectly lit to show the contrasting color of the floating jellies inside. It was beautiful and memorizing. They loved the color, the movement, and the mass of jellies in some of the tanks. They would each pick out one and decide they were that one. Until a better one came by, of course. 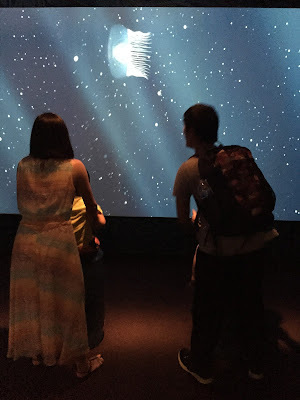 And if the regular jelly exhibit wasn't enough, they have a special exhibit called the Jelly Experience until September 7th. 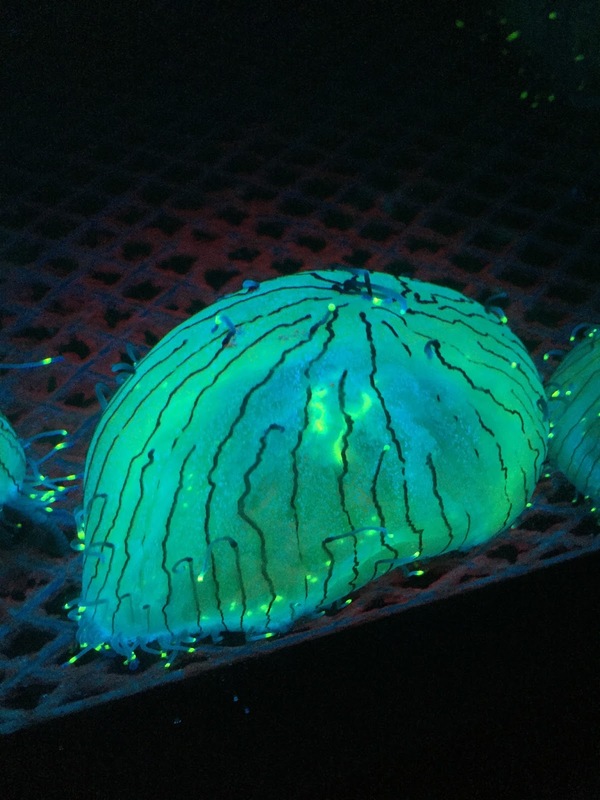 There, they had a many more jellies, like these cool neon ones. It had some interactive features too which really helped keep the kids involved and keep their attention on the right thing. 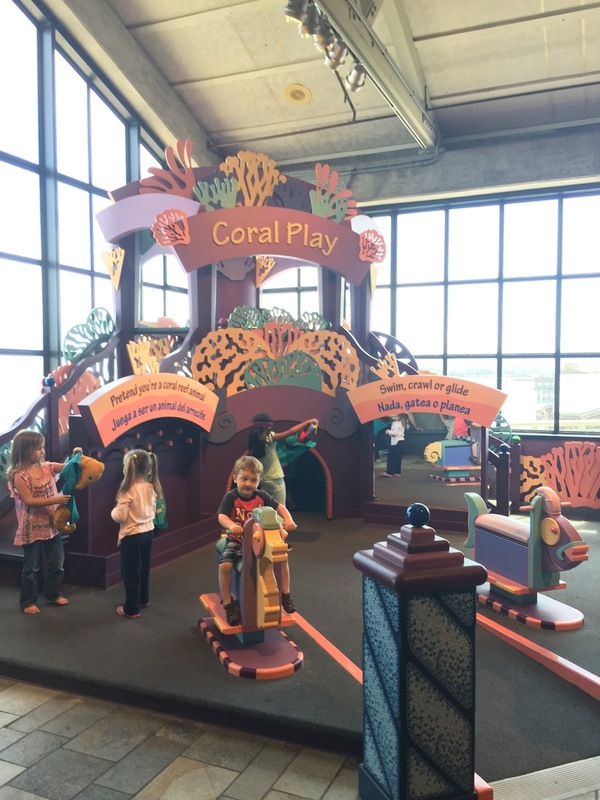 One of their favorites was an exhibit where you push up and down on the podiums to move the jellies across the screen. Fortunately for these two, Wendy and Wayne pushed them on the podiums so they moved to make the jelly fish move. And the interactive areas didn't end there. 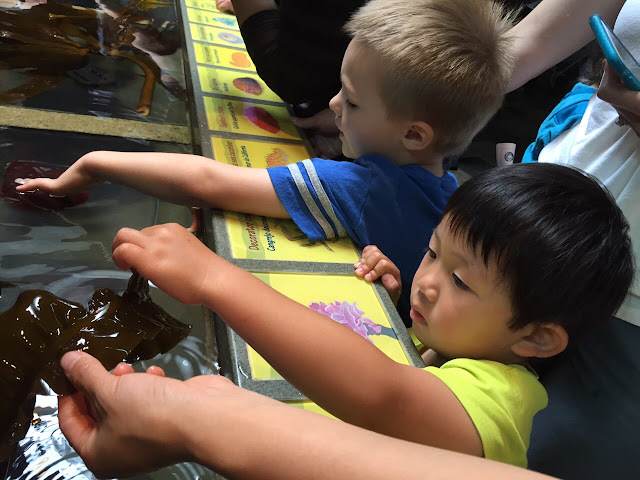 The tidepools were another favorite and allowed all of us to touch some of the ocean critters. We got to touch a starfish for the first time, which was pretty cool. 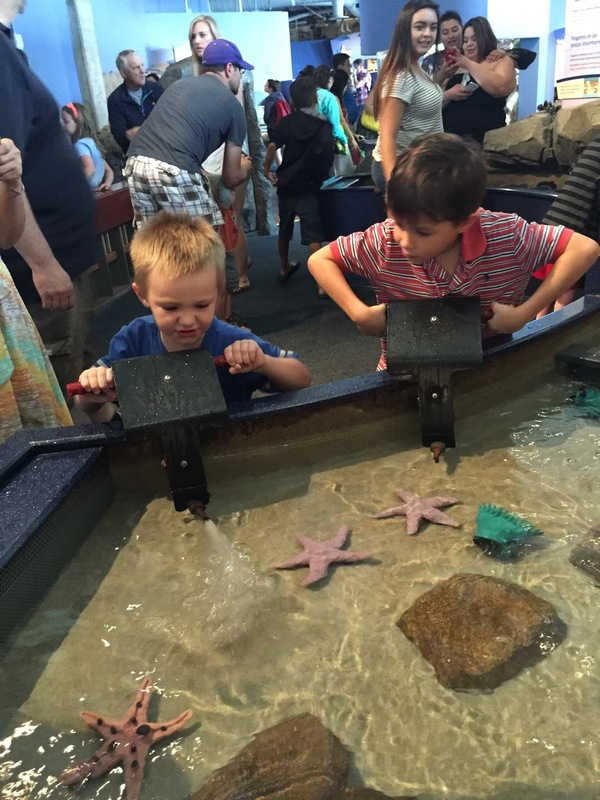 Although we've seen starfish in the tidepools we've visited, they've always been the one animal that can't be touched. Kids are so tactile. 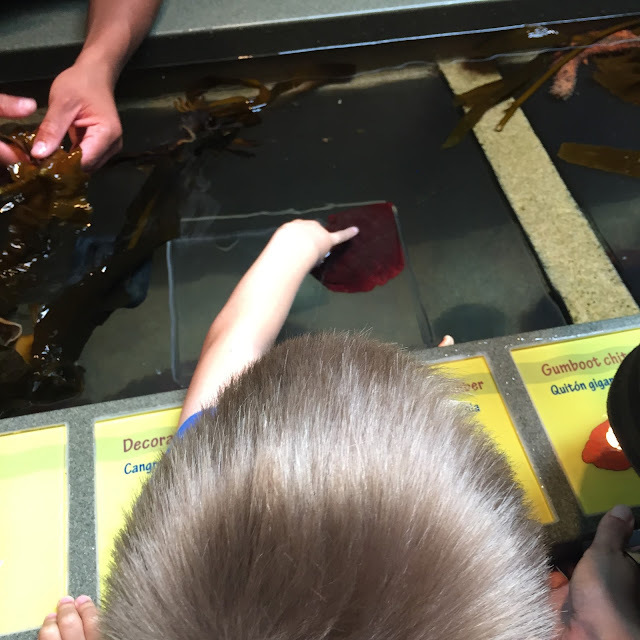 They have to touch and feel everything so the tide pools are a perfect place for kids to learn and get involved. There were a large variety of animals including some that were new to even me, like this Gumboot Chilton which I realized I had seen at the local tidepools, but just never knew what it was. They also got to feel on the kelp which they said felt "yucky", but had no problem touching all over. 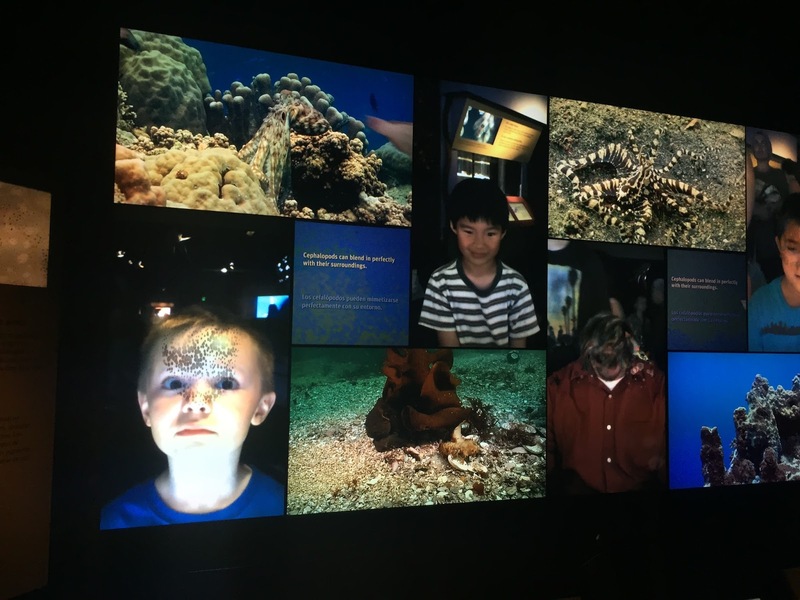 The aquarium also had interactive exhibits that allowed the children simulate currents and build reefs to try and protect the animals from them. Of course, explaining what was going on was up to the parents, but it was a nice change from looking at animals through a tank. 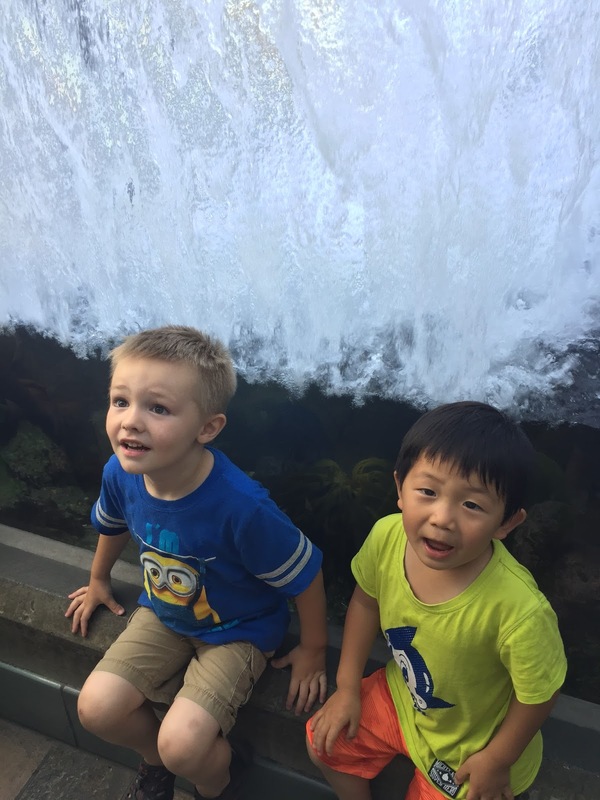 After a little bit of that and some time on the indoor playground the boys were able to get out a little energy that had built up. After playing, we sat outside and had some lunch. Our friends were prepared with a picnic lunch and and we watched people kayaking while we had a bite to eat. I'm always a little jealous when I see other people outside in the water. I love being on or in the water in any way and form. It doesn't help what a beautiful location it was. 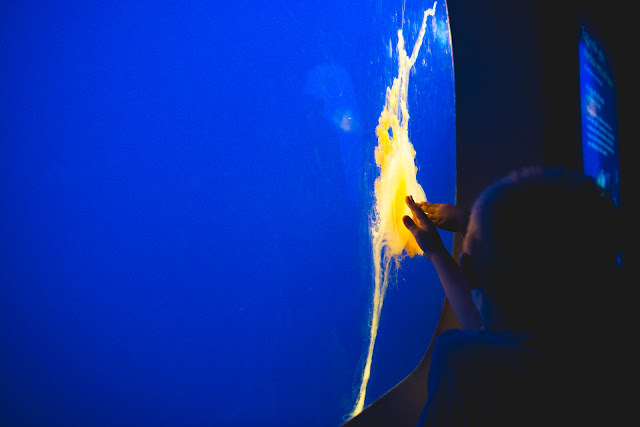 One thing I loved about the aquarium was their underwater explorers program that introduces children to scuba diving. Landon likes to look at our photo book from Cozumel with underwater pictures and talk about how he wants to scuba dive too. He's still too young for their introduction program, but as soon as he turns eight we will sign up for it. 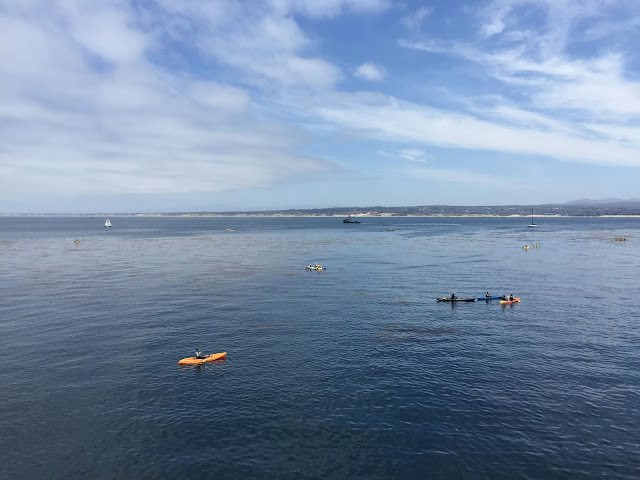 They take the kids into the ocean right off the deck of the aquarium, It's very shallow and blocked off by rocks, but it would be a great little taste into the world of scuba diving for any kid. Even I would do it if the cap were not thirteen years old. 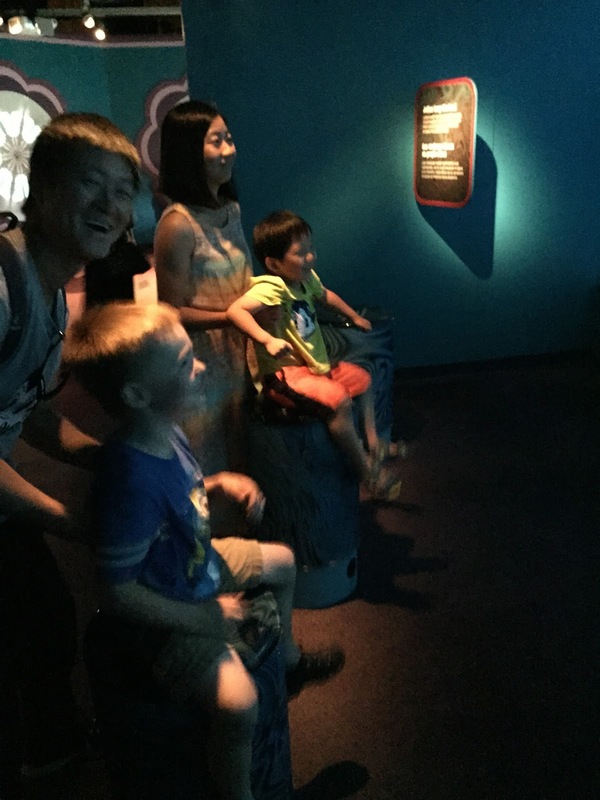 After lunch, we headed to the rest of the exhibits which included the Tentacles and Vanishing Wildlife. It was disappointing to see all the octopuses, curled up and sleeping, because the boys would have loved to see them moving around. 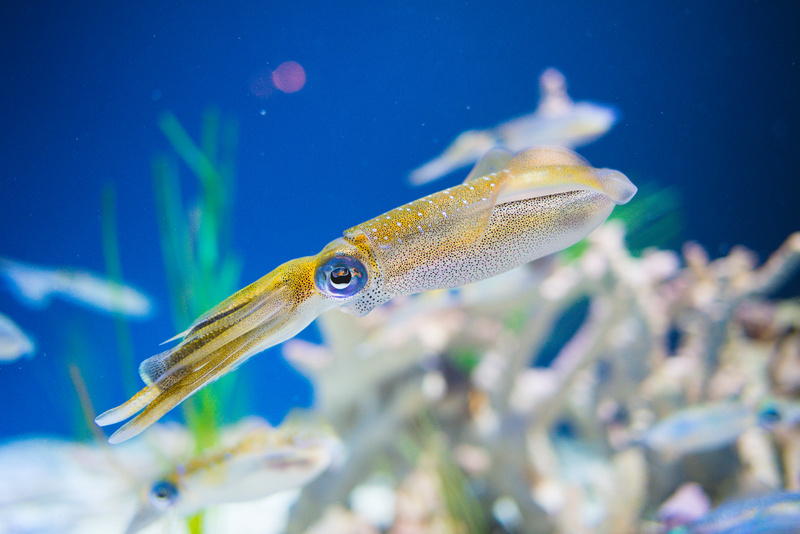 The squid on the other hand, were out swimming around. Adam loves squid! He made a friend with one on a night dive that wouldn't leave him alone. Ever since then, they've held a special place in his heart. The vanishing wildlife exhibit was a little too mature to keep the kids interested. Except for the interactive parts where you got to make yourself into animals and see your picture of the big screen. We managed to see every inch of the aquarium and were exhausted by the end of the day. It was a great place, a great experience, and a great day! The best part? We still have a gift certificate that we didn't use for the three of us from my brother and sister-in-law. (They are the best!) Since the temporary exhibits will be changing soon and the tourist season is starting to die down, we plan to go back soon. If you have kids and are ever around Monterrey, this is a must stop. 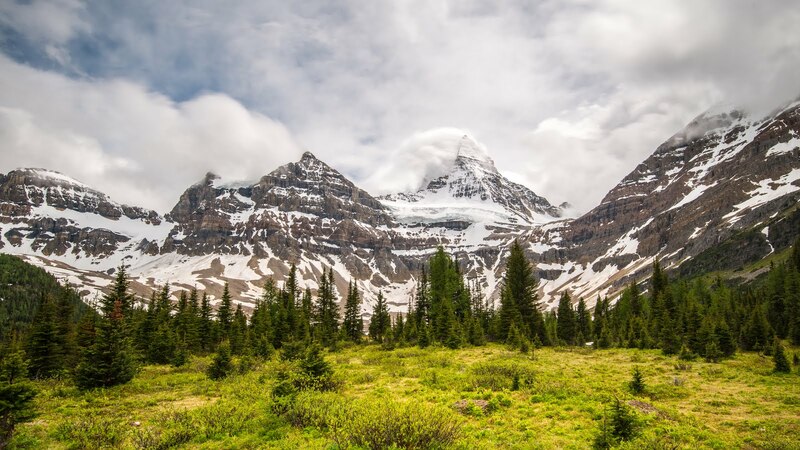 The learning, the fun, and the awe won't just be from the kids either. I know the four adults enjoyed the aquarium just as much as the two boys. Well, almost. We would love that! Thanks for inviting us to go with you all. We all enjoyed it!! !